EFN: Battle of Moscow 17: Great Equalizer from 9/30/2014. 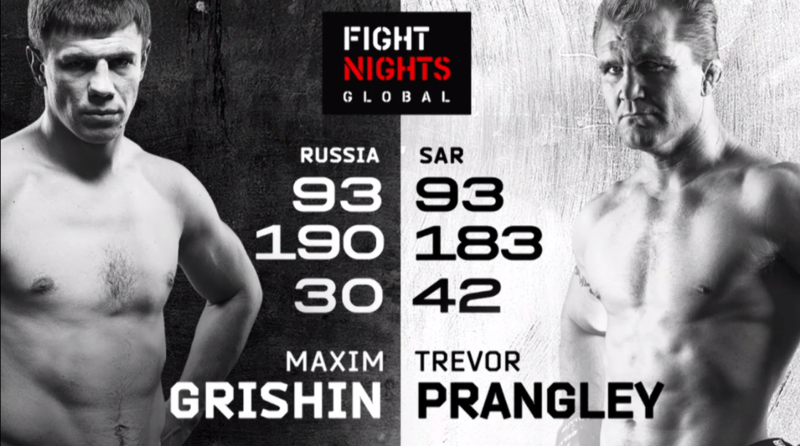 Maxim Grishin vs Trevor Prangley EFN: Battle of Moscow 17: Great Equalizer Sep 30, 2014 (20:58) Maxim Grishin vs Trevor Prangley at EFN: Battle of Moscow 17: Great Equalizer from September 30, 2014 in Moscow, Russia. Vladimir Mineev vs Fernando Almeida EFN: Battle of Moscow 17: Great Equalizer Sep 30, 2014 (12:34) Vladimir Mineev vs Fernando Almeida at EFN: Battle of Moscow 17: Great Equalizer from September 30, 2014 in Moscow, Russia. Murad Machaev vs Anatoli Angielovskyi EFN: Battle of Moscow 17: Great Equalizer Sep 30, 2014 (10:33) Murad Machaev vs Anatoli Angielovskyi at EFN: Battle of Moscow 17: Great Equalizer from September 30, 2014 in Moscow, Russia. Mikhail Mokhnatkin vs Evgeni Guryanov EFN: Battle of Moscow 17: Great Equalizer Sep 30, 2014 (10:08) Mikhail Mokhnatkin vs Evgeni Guryanov at EFN: Battle of Moscow 17: Great Equalizer from September 30, 2014 in Moscow, Russia. Oleg Borisov vs Tejg LeGi EFN: Battle of Moscow 17: Great Equalizer Sep 30, 2014 (21:28) Oleg Borisov vs Tejg LeGi at EFN: Battle of Moscow 17: Great Equalizer from September 30, 2014 in Moscow, Russia. Akhmet Aliev vs Islam Begidov EFN: Battle of Moscow 17: Great Equalizer Sep 30, 2014 (21:30) Akhmet Aliev vs Islam Begidov at EFN: Battle of Moscow 17: Great Equalizer from September 30, 2014 in Moscow, Russia. 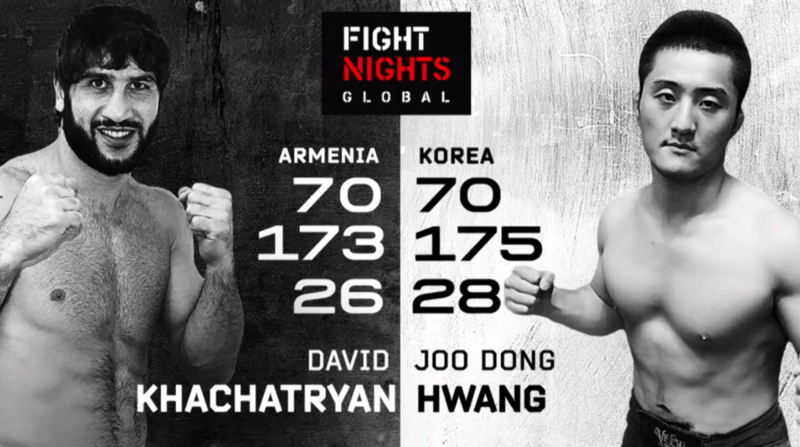 David Khachatryan vs Joo Dong Hwang EFN: Battle of Moscow 17: Great Equalizer Sep 30, 2014 (21:15) David Khachatryan vs Joo Dong Hwang at EFN: Battle of Moscow 17: Great Equalizer from September 30, 2014 in Moscow, Russia. Movlid Khaibulaev vs Ilya Kurzanov EFN: Battle of Moscow 17: Great Equalizer Sep 30, 2014 (22:31) Movlid Khaibulaev vs Ilya Kurzanov at EFN: Battle of Moscow 17: Great Equalizer from September 30, 2014 in Moscow, Russia. Tilek Batyrov vs Yunus Evloev EFN: Battle of Moscow 17: Great Equalizer Sep 30, 2014 (8:49) Tilek Batyrov vs Yunus Evloev at EFN: Battle of Moscow 17: Great Equalizer from September 30, 2014 in Moscow, Russia. 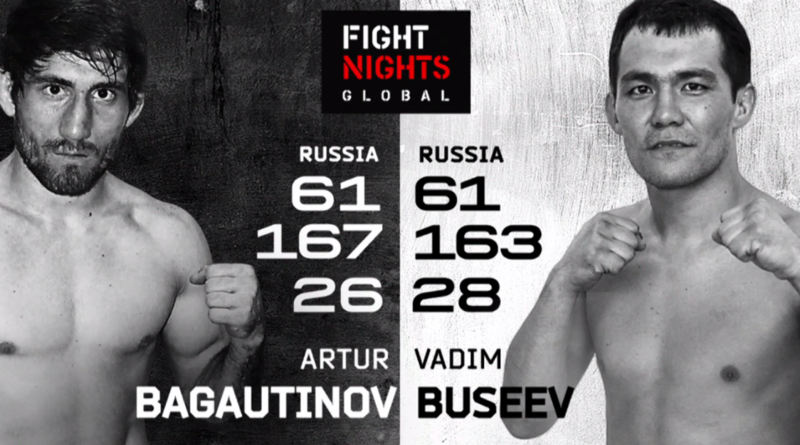 Artur Bagautinov vs Vadim Buseev EFN: Battle of Moscow 17: Great Equalizer Sep 30, 2014 (20:39) Artur Bagautinov vs Vadim Buseev at EFN: Battle of Moscow 17: Great Equalizer from September 30, 2014 in Moscow, Russia.